For other people named Suzanne Collins, see Suzanne Collins (disambiguation). Suzanne Collins (born August 10, 1962) is an American television writer and author. She is known as the author of The New York Times best-selling series The Underland Chronicles and The Hunger Games trilogy. The Underland Chronicles is a series of five epic fantasy novels by Suzanne Collins, first published between 2003 and 2007. It tells the story of a boy named Gregor and his adventures in the "Underland", a subterranean world located under New York City. The Underland is inhabited by humans who traveled below hundreds of years ago, along with various giant versions of creatures like bats, cockroaches, and rats. 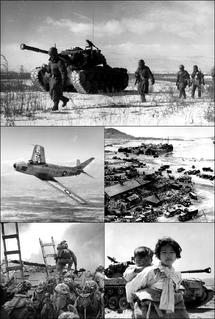 According to the author, the series involves many topics relating to war, including biological warfare, genocide, and military intelligence. While not as well-known as the author's subsequent Hunger Games trilogy, it has been reviewed favorably by many critics. The Alabama School of Fine Arts (ASFA) is a public, partially residential high school located in downtown Birmingham, Alabama, United States. It provides career, college preparation, and technical education to students from grades 7-12 and is a member of the Coalition of Essential Schools. 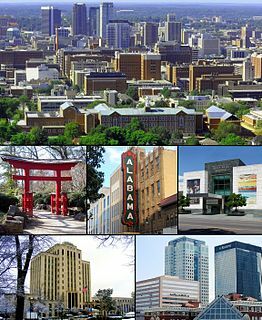 Birmingham is a city located in the north central region of the U.S. state of Alabama. With an estimated 2017 population of 210,710, it is the most populous city in Alabama. Birmingham is the seat of Jefferson County, Alabama's most populous and fifth largest county. As of 2017, the Birmingham-Hoover Metropolitan Statistical Area had a population of 1,149,807, making it the most populous in Alabama and 49th-most populous in the United States. Birmingham serves as an important regional hub and is associated with the Deep South, Piedmont, and Appalachian regions of the nation. Clarissa Explains It All is an American teen sitcom created by Mitchell Kriegman for Nickelodeon. In the series, Clarissa Darling, played by Melissa Joan Hart, is a teenager who addresses the audience directly to describe the things that are happening in her life, dealing with typical adolescent concerns such as school, boys, pimples, wearing her first training bra, and an annoying younger brother. The Mystery Files of Shelby Woo is a Canadian-American children's mystery television series that ran on Nickelodeon between 1996 and 1998. A total of 41 episodes of 30 minutes each were produced. Episodes from the first three seasons were taped at the now defunct Nickelodeon Studios in Orlando, Florida, and was one of the few single-camera productions there, while season 4 episodes were shot in Montreal, Quebec, Canada. Little Bear is an educational Canadian children's animated series based on the Little Bear series of books written by Else Holmelund Minarik, and illustrated by Maurice Sendak; the program was originally produced by CBC. It has been rebroadcast on many channels, including Noggin/Nick Jr. (U.S.), ABC and ABC2 (Australia), RTÉ (Ireland), TV2 and Children's BBC (UK). The show aired in reruns on Nick on CBS for one year from September 16, 2000, to September 8, 2001. A direct-to-video/DVD full-length feature film titled The Little Bear Movie was released in 2001. Generation O! is an American animated television comedy series made by Sunbow Entertainment, with co-production provided by Wang Films in Taiwan and Ravensberger in Germany. The show is known as "Molly O!" in some countries. Generation O! was originally called Molly O! and was created by David Hale, Tim Newman and James Proimos, based on an original idea by Hale and Newman. Executive Producers were Carole Wietzman, Martha Ripp and Ken Olshansky. The Creative Producer and Director was Mike Milo and the Line Producer was Jodey Kaminsky-Cashman. 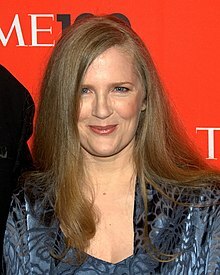 Most of the episodes were written by Suzanne Collins, author of The Underland Chronicles and The Hunger Games trilogy. John Hardman was the production exec at The WB. In September 2008, Scholastic Press released The Hunger Games , the first book of a trilogy by Collins. The Hunger Games was partly inspired by the Greek myth of Theseus and the Minotaur. Another inspiration was her father's career in the Air Force, which gave her insight to poverty, starvation, and the effects of war. The trilogy's second book, Catching Fire , was released in September 2009, and its third book, Mockingjay , was released on August 24, 2010. Within 14 months, 1.5 million copies of the first two Hunger Games books were printed in North America alone. The Hunger Games was on The New York Times Best Seller list for more than 60 weeks in a row. 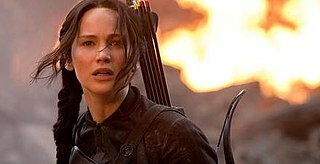 Lions Gate Entertainment acquired worldwide distribution rights to a film adaptation of The Hunger Games, produced by Nina Jacobson's Color Force production company. Collins adapted the novel for film herself. Directed by Gary Ross, filming began in late spring 2011, with Jennifer Lawrence portraying main character Katniss Everdeen. Josh Hutcherson played Peeta Mellark and Liam Hemsworth played Gale Hawthorne. The subsequent two novels were adapted into films as well, with the latter book split into two cinematic installments, for a total of four films representing the three books. The Hunger Games is a 2008 dystopian novel by the American writer Suzanne Collins. It is written in the voice of 16-year-old Katniss Everdeen, who lives in the future, post-apocalyptic nation of Panem in North America. The Capitol, a highly advanced metropolis, exercises political control over the rest of the nation. The Hunger Games is an annual event in which one boy and one girl aged 12–18 from each of the twelve districts surrounding the Capitol are selected by lottery to compete in a televised Battle royal to the death. Mockingjay is a 2010 science fiction novel by American author Suzanne Collins. It is the last installment of The Hunger Games, following 2008's The Hunger Games and 2009's Catching Fire. The book continues the story of Katniss Everdeen, who agrees to unify the districts of Panem in a rebellion against the tyrannical Capitol. Gregor the Overlander is a children's epic fantasy novel. The book was written by Suzanne Collins and was published in 2003 as the first book of The Underland Chronicles. It was received well by critics, and was listed as one of New York Public Library's 100 Books for Reading and Sharing. 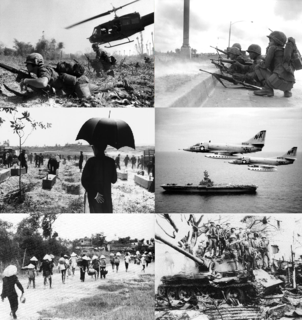 It was featured by the U.S. National Public Radio in 2005. Scholastic has rated the book's "grade level equivalent" as 4.9 and the book's lexile score as 630L, making it reading-level-appropriate for the average fourth or fifth grader. Gregor and the Prophecy of Bane is the second book in Suzanne Collins's children's novel series The Underland Chronicles. Published in 2004, the novel contains elements of high fantasy. The novel focuses on a prophecy mentioned at the end of Gregor the Overlander which the Underlanders believe requires the protagonist Gregor to hunt down and kill an evil white rat known as the "Bane". It is told in third person. Gregor and the Curse of the Warmbloods is an epic fantasy children's novel by Suzanne Collins. It is the third book in The Underland Chronicles, and was first published by Scholastic in 2005. 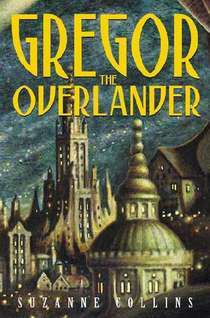 The novel takes place a few months after the events of the preceding book, in the same subterranean world known as the Underland. In this installment, the young protagonist Gregor is once again recruited by the Underland's inhabitants, this time to help cure a rapidly-spreading plague. Lucia M. Gonzalez is an Award-winning children's author and librarian. Katniss Everdeen is a fictional character and the protagonist of The Hunger Games trilogy by Suzanne Collins. Her name comes from a plant with edible tubers called Sagittaria (katniss), from Sagittarius the Archer, whose name means He that throws arrows in Latin. She is portrayed by Jennifer Lawrence in the film adaptations The Hunger Games, The Hunger Games: Catching Fire, The Hunger Games: Mockingjay – Part 1, and The Hunger Games: Mockingjay – Part 2. 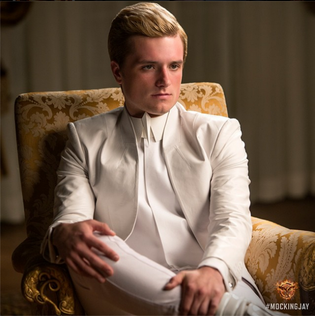 Peeta Mellark is a fictional character from The Hunger Games trilogy by Suzanne Collins. He is portrayed by actor Josh Hutcherson in The Hunger Games film series. The Hunger Games universe is a fictional world appearing in The Hunger Games trilogy written by Suzanne Collins an american author. It consists primarily of the fictional nation of Panem, its Capitol where the totalitarian government resides, and the outlying districts, numbered 1 to 12, each with a different economy. In addition, there is the secretive District 13, where a rebel force is building strength. The Hunger Games themselves are an annual event in which two children from each district, selected through a process called "reaping", are forced to participate in a battle to the death. The universe also contains fictional flora and fauna, such as the Mockingjay, a bird whose mimicry is used as a plot device, and after whom the third book in the series is named. Amy Sarig King is an American writer of short fiction and young adult fiction. Ripred or is an abnormally large rat and capable fighter who appears in Suzanne Collins' The Underland Chronicles. He is an important character in all five of the series' books. Ripred is what many people and animals in the Underland refer to as a "rager", or a natural born killer. Even though he is a rat, or a gnawer, as the Underlanders say, he often fights alongside the humans - frequently against other rats. Ripred is usually sarcastic, snide, and overbearing, but he has occasionally shown compassion and tenderness, especially with the main character's younger sister, Lizzie. The books describe him as being just as large as the other six-foot rats of the Underland, having a gray coat, and marked by a diagonal scar across his face. Patrick Jennings is an American writer of children's books including picture books, middle-grade fiction, young adult fiction, and short stories. Animals, including pets, often figure in his stories. He is perhaps best known for his series, Guinea Dog, about Fido, a guinea pig that acts like a dog. He has also written humor pieces for Horn BookMagazine's Cadenza column, including "Excerpt from the Chocolate Game", which mashes Suzanne Collins's The Hunger Games with Roald Dahl's Charlie & the Chocolate Factory. Gregor and the Code of Claw is a children's novel by author Suzanne Collins, best known for her Hunger Games trilogy. It is the fifth and final book of The Underland Chronicles, and was published in 2007. Scholastic has rated the book's "grade level equivalent" as 4.5 and the book's lexile score as 730L, making it reading-level-appropriate for the average fourth to sixth grader. The novel has been praised especially as a conclusion to The Underland Chronicles. In its description of the novel, as part of its "Recommended Books" award, the CCBC states, "Although Gregor and the Code of Claw works as a stand-alone story, readers will want to start with book one and work their way through to this final volume." An audiobook version was released in 2008, read by Paul Boehmer. ↑ Armitstead, Claire (April 27, 2012). "Suzanne Collins: Hunger Games author who found rich pickings in dystopia". The Guardian. Retrieved August 9, 2018. ↑ Llanas, Sheila Griffin (August 1, 2012). How to Analyze the Works of Suzanne Collins. ABDO. p. 13. ISBN 9781614789574 . Retrieved August 8, 2018. 1 2 Collins, Suzanne. "A Conversation with Suzanne Collins, Q & A." (PDF). Scholastic. Retrieved February 9, 2010. ↑ Harvey, Alec (March 23, 2010). "Did you know 'Hunger Games' author Suzanne Collins has an Alabama connection". Birmingham News. Retrieved September 13, 2012. ↑ "Suzanne Collins Interview by Deborah Hopkinson on BookPage". BookPage. September 2012. Archived from the original on January 2, 2013. Retrieved December 15, 2009. ↑ "'Hunger Games' author Suzanne Collins graduated from IU". 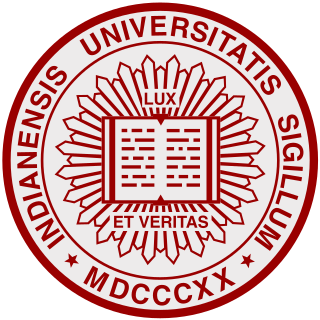 Indiana University. March 22, 2017. Retrieved March 25, 2013. 1 2 "Suzanne Collins". biography.com. A&E Networks. Retrieved September 13, 2013. 1 2 3 4 5 6 7 "Biography". www.suzannecollinsbooks.com. Retrieved December 14, 2008. 1 2 "Suzanne Collins Biography". Scholastic. Retrieved December 14, 2008. ↑ Collins, Suzanne. "Planning the Trilogy". Scholastic Canada (Interview: Video). Archived from the original on February 12, 2009. Retrieved December 14, 2008. ↑ Staskiewicz, Keith (February 11, 2010). "Final 'Hunger Games' novel has been given a title and a cover". Entertainment Weekly. Retrieved February 11, 2010. 1 2 Collins, Suzanne. "Suzanne Collins's Third Book in The Hunger Games Trilogy to be Published on August 24, 2010". Scholastic. Retrieved February 9, 2010. ↑ Sellers, John A. (March 12, 2009). "Hungry? The Latest on 'The Hunger Games'". Publishers Weekly . Archived from the original on June 2, 2009. Retrieved March 14, 2009. 1 2 Fernandez, Jay A.; Kit, Borys (March 17, 2009). "Lionsgate picks up 'Hunger Games'". The Hollywood Reporter. Archived from the original on March 22, 2009. Retrieved March 18, 2009. ↑ Weinstein, Joshua L. "Jennifer Lawrence Gets Lead Role in 'The Hunger Games'", TheWrap.com. March 16, 2011. Retrieved March 17, 2011. ↑ "Hunger Games Peeta and Gale Casting". HungerGamesfan.com. Retrieved April 9, 2011. ↑ Skurnick, Lizzie (April 29, 2010). "The 2010 Time 100: Suzanne Collins". Time. Retrieved May 2, 2010. ↑ "Hungry for Hunger Games: Amazon.com Reveals the Top Cities in the U.S. Reading The Hunger Games Trilogy" . Retrieved March 16, 2012. ↑ "Who is the Best-Selling Kindle Author of All Time?" . Retrieved March 17, 2012. ↑ "2010 Georgia Peach Book Award for Teen Readers Winner Announced". Georgia Library Media Association. Archived from the original on October 18, 2011. Retrieved May 3, 2017. ↑ "Best Children's Books of 2009." Publishers Weekly November 2, 2009: n. pag. Web. January 29, 2010. ↑ "2009 Best Books for Young Adults Archived August 10, 2011, at the Wayback Machine ." American Library Association. ALA, Web. January 29, 2010. ↑ "ALSC Announces 2009 Notable Children's Books." ALA. February 10, 2009. American Library Association, Web. January 29, 2010. ↑ "The 2008-9 Cybils Winners." Cybils: The 2008-9 Cybil Winners. Cybils, Web. January 29, 2010. ↑ "The Best Young-Adult Books of 2008 [ permanent dead link ]." Kirkus Reviews. December 1, 2008. Kirkus Reviews, Web. January 29, 2010. ↑ "Horn Book Fanfare Best Book." Goodreads. 2010. Goodreads Inc, Web. February 4, 2010. ↑ "Review of the Day: The Hunger Games by Suzanne Collins ." School Library Journal. 2010. Reed Business Information, Web. February 4, 2010. ↑ "The Hunger Games." Booklist Online. Oct 2008. American Library Association, Web. February 4, 2010. ↑ "GREGOR THE OVERLANDER: Suzanne Collins. Web. February 8, 2010. ↑ "NAIBA Book of the Year Awards." Archived October 5, 2013, at the Wayback Machine NAIBA. 2009. New Atlantic Independent Booksellers Association, Web. February 8, 2010. ↑ "ALSC Notable Recording." Books on Tape. Archived December 23, 2009, at the Wayback Machine Random House, Inc. , Web. February 8, 2010. ↑ "Authors Guild Benefit Honors Suzanne Collins, Celebrates Books for Young Readers". Industry & Advocacy News. Authors Guild. May 27, 2016. Retrieved September 19, 2016. Wikimedia Commons has media related to Suzanne Collins .